As summer rapidly approaches, I am reminded that it is time to harvest one of my favorite plants. To most it’s a weed, and a problem one at that. Me, I’ve found a way to make my peace (and dinner) with it. We call them ‘Soursobs’ here in Australia. Oxalis pes-capre to the technically minded. 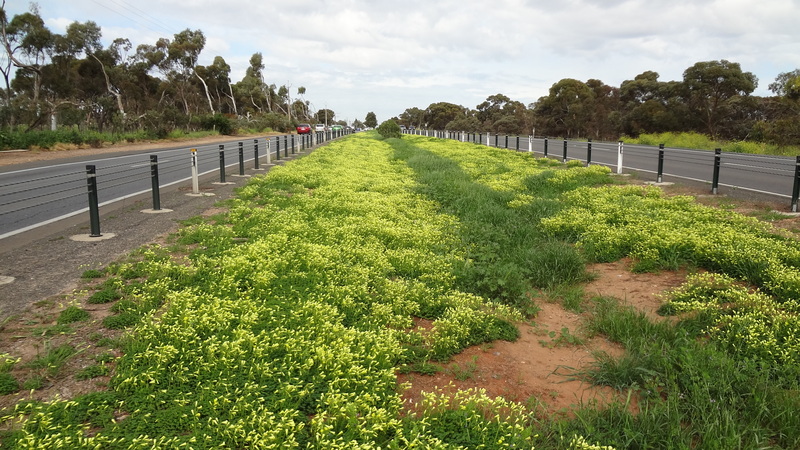 Their bright yellow blooms at late end of winter brighten the landscape. As you can see from the pictures below, the soursob is a plant of disturbed soils. Where the land has been broken, there you will find it. A closer view of a patch of soursobs. 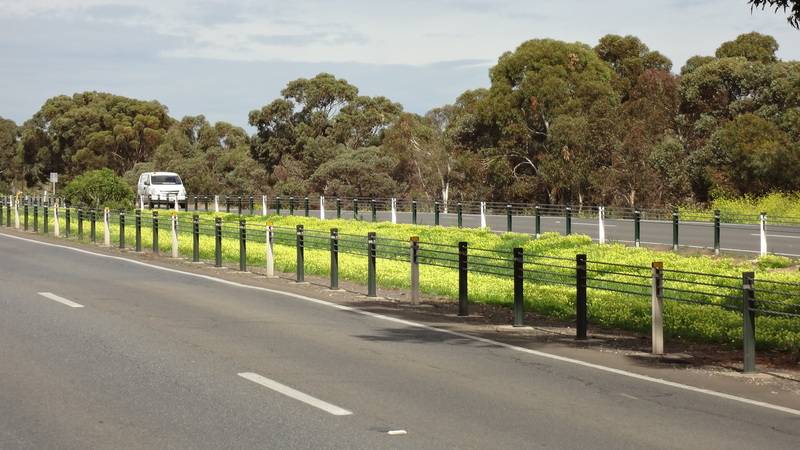 Yellow is a big thing in Australia, our wattles, and daisies show throughout the year. 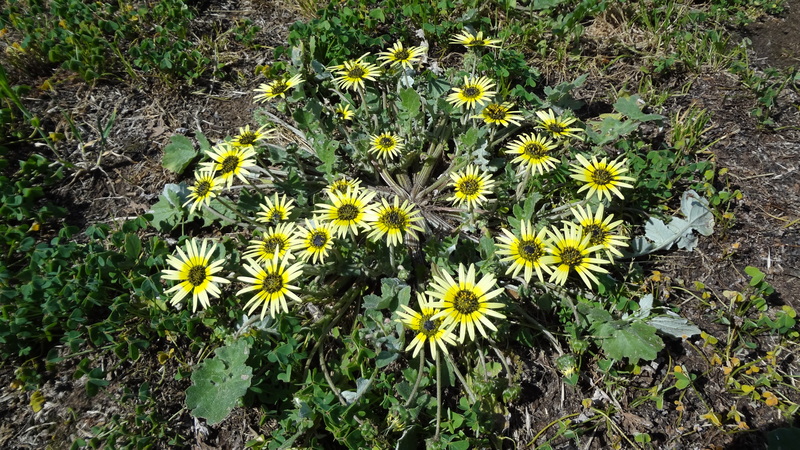 This picture shows a common weed daisy that grows in similar places to soursobs. They cross over during a transition period. When the daisy is on the ascendance, the soursob is settling down to become mulch for summer. 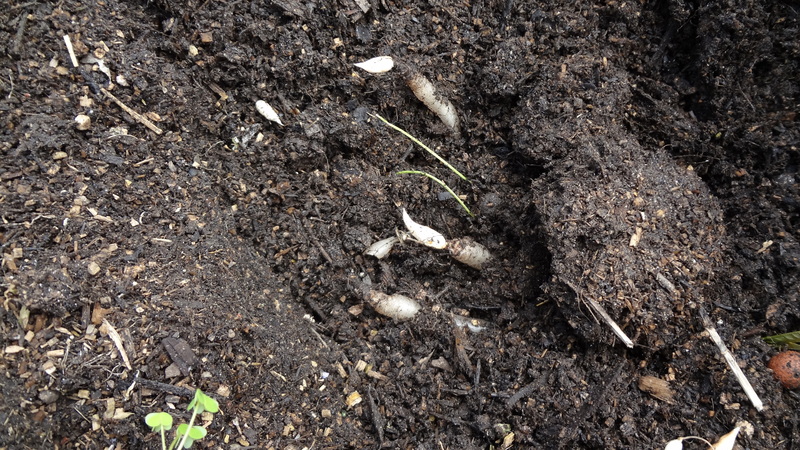 Underground, the soursob has been busy stocking a starchy root tuber and lots of little bulbs. It’s these bulbs that are the bane of gardeners. They are easily detached from the main plant and there are many of them, so they are easily spread through digging. 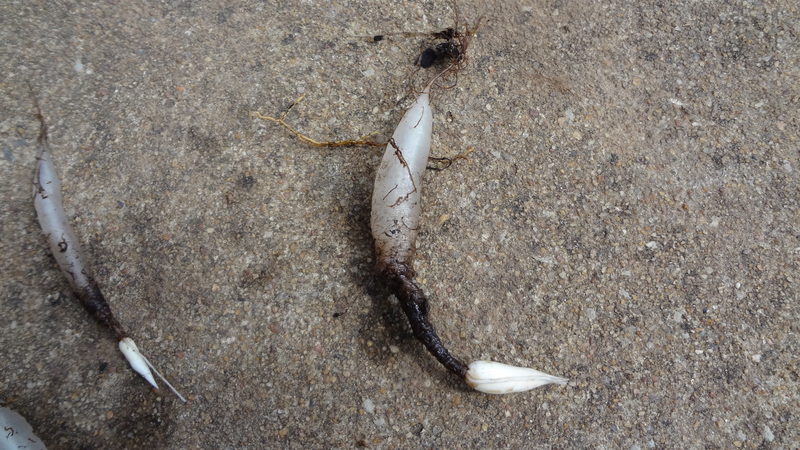 The tuberous roots are sweet and moist, the bulbs nutty, and combined they taste like water chestnuts. Soursobs are a delight to children, the levels of oxalic acid in their stems and leaves have made many a young face pucker over the years. They get their name from this sourness. There are some health concerns about consuming high levels of oxalic acid. Oxalicacidinfo.com has some great info on oxalic acid in the diet. Eatthatweed has some good info on foraging for plants with high oxalic acid levels. Every year I have a big garden pot of soursobs on the go. It makes it easier and cleaner to harvest. I just tip the pot out. 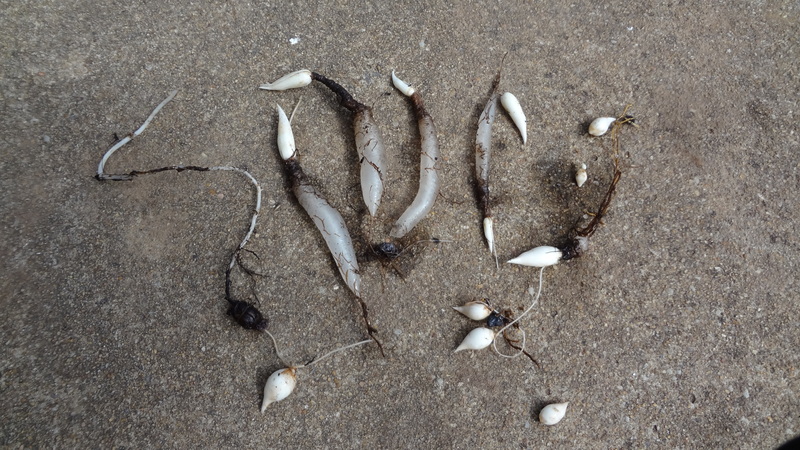 When I’m replacing the potting mix, I sprinkle a handful of bulbs back in and that takes care of next year’s crop. They survive well on the natural rainfall, plus the occasional sprinkle, need no fertilizer (adding fertilizer makes the crown and leaves grow much more, at the expense of the roots). Soursobs grow well in a pot. One of the best ways that I’ve found, to control them in the garden is to spread recently dug soil over a small area, exposing the bulbs. The birds will do most of the work for you. You’ll never get rid of them, so natural control and making friends with them are the best ways to go. 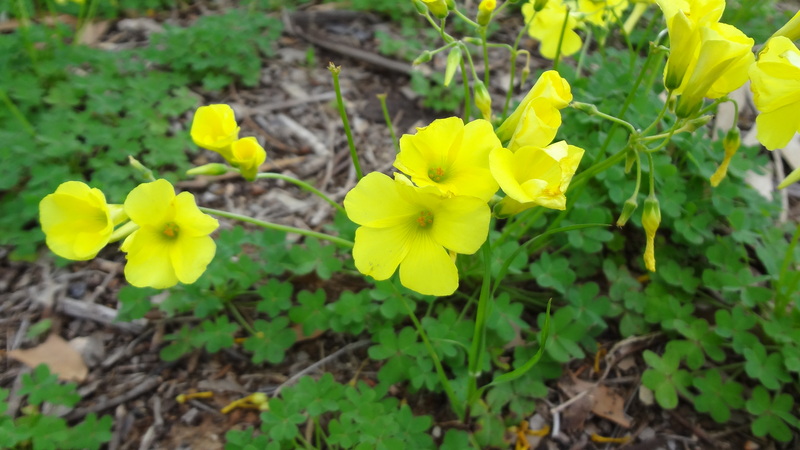 Oxalis pes-capre is one of nature’s little gifts that keeps on giving…whether you want it to or not! Next Post Going for goji.